Sooooooo.... the Reddit leakers expect us to believe that OSCAR-NOMINATED Richard E. Grant, who plays a significant part, only gets the pages he’s working on that day, and under very tight restrictions, but random Reddit person who claims to be an extra knows mind-blowing plot details? I’m with you. Nope on that one. Episode IX’s plot is currently a tightly-guarded secret, and Grant’s role is similarly under wraps – but he has confirmed that he’s playing an all-new figure, not fan-favourite spin-off character Grand Admiral Thrawn or anyone else. Instead, he gets to portray someone he can leave his mark on. “I hadn’t thought of it like that, but the character is just mine!” he laughs. And according to the actor we can expect some pretty big twists in the Skywalker saga’s last instalment, which he suggests will be pretty earth-shaking to fans of the franchise and well worth the series’ painstaking secrecy. “Oh, it’s definitely worth it,” he says. “If you’re a Star Wars fan, and I am, then knowing what’s coming in this is quite something. The film also offers the opportunity for a reunion between Grant and former Doctor Who star Matt Smith, who has also been confirmed to star in Star Wars IX around six years after the pair clashed as the Doctor and The Great Intelligence in the BBC sci-fi series. “Yes, we were in a Christmas special and another episode together,” Grant says. But will they share any scenes again? “I would be fired if I told you anything about that,” he smiles. Wow, that's actually BIG. I'm sure that Grant is not just exaggerating. The video wouldn't embed because it's not YT, but IX filming might be done? Adam joking about it by mixing it up with his new film at Sundance. @californiagirl wrote: The video wouldn't embed because it's not YT, but IX filming might be done? Adam joking about it by mixing it up with his new film at Sundance. On the contrary, by his answer, is obvious they are not done yet! He was tooling with the reporter. He looks so Ben Solo!! Amd so happy! You can tell he’s been filming IX! Yeah, I've always felt a little bad for all the SW actors for having to spend so much time and caution in evading answers, and sometimes even questions. It's like they have to pretend the biggest franchise in the world doesn't exist, and that they aren't part of it. He’s had his hair trimmed. It’s slightly shorter. Could mean he is done filming. @Kylo Rey wrote: He’s had his hair trimmed. It’s slightly shorter. Could mean he is done filming. You think? It actually looks Ben Solo length plus he is clean shaven. I think JJ isn’t done filming yet, until mid Feb I heard. And Adam was just in London so I bet he going back Monday..
Yeah, I think that he is going back too. IMO, the haircut is not drastic enough for it all to be over for him. I think that he was given some time off for the Oscar circuit and his hair got really long, too long for whatever Kylo is doing and they cleaned it up. When he's really-really done, Adam will cut his hair. He doesn't tend to do the "full Kylo" when not filming SW. Though, admittedly, it will be hard to tell so easily this time around because he will be in that Broadway play where he is seemingly playing a long-haired character. But I do think that there will be more fanfare about end of shooting. I remember with TLJ we seemed to know the weeks particular actors were wrapping up, and then they have their big party. I'm still puzzled by Snoke's absence of this poster. I don't understand how he can be absent from it, while Grievous's on it. It's beyong my comprehension... except if he's meant to be back but they want us to think he had no importance! I'm not that worried about his hair tbh. TLJ took place over a few standard days iirc and his hair length really wavered throughout the film. It was very obvious at times . I knew it! Plus he is doing the SAG awards tonight and tomorrow flies back to London. I didn't see his wife tonight on the red carpet. I figured he was flying around a lot since he was filming last week and maybe she sat these events out. @Birdwoman wrote: I didn't see his wife tonight on the red carpet. I figured he was flying around a lot since he was filming last week and maybe she sat these events out. Yes, that’s what I thought too. Plus they haven’t wrapped IX yet and he is most likely going back to London today. You have a good point here, I was thinking the same. Plus, the absence of Hux puzzles me also. Who are the big bad of this sequel? Kylo? Yep, it seems that's what they want us to think, indeed... I hope it's only a trick! 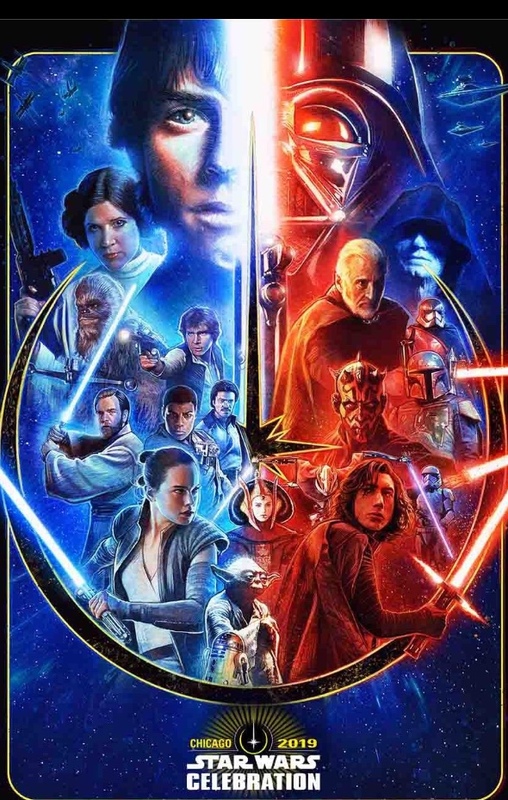 Oh no.... You guys are getting me worried now..
Well, do the people who make the poster know EP IX will end? Most of the comments accuse this person of being a liar, so even if I like very much what I read in this "leak"... I don't believe a word of it! EDIT: oh yeah, he's the one who trolled people with Rey Skywalker and her mother killed by Kylo when he was 10. No wonder why Reddit users are tired of him. I am thinking that maybe this Friday they will wrap the main cast? Anthony Daniels already wrapped, and John said he only had a bit more to do so \so I am assuming Adam & Daisy also might finish soon too. AHH! I am dying to know more info! It has been such a long drought! When are we going to get the title for this thing? I am losing my patience. Yes, a title would be good now... We shouldn't probably expect a teaser before Celebration, but we'll certainly have the title soon.